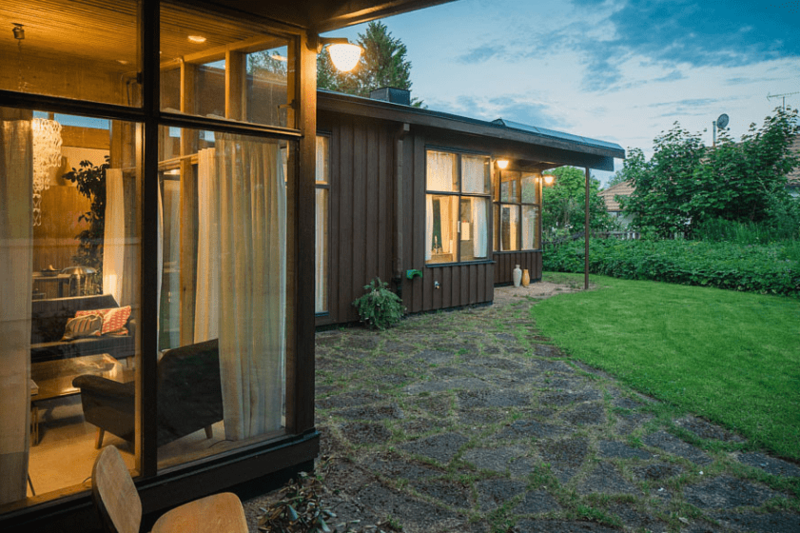 Grossman designed Villa Sundin for Göran Sundin and his family, bringing a taste of California modernism to his home in Sweden. The luminous house boasts an open floor plan with glass walls dressed in sheer white curtains. Chandeliers hang throughout the house, while one of Grossman’s own Grasshopper lamps stands in the family room, giving the house ample lighting. In the kitchen, green cabinets with silver handles create a retro vibe. 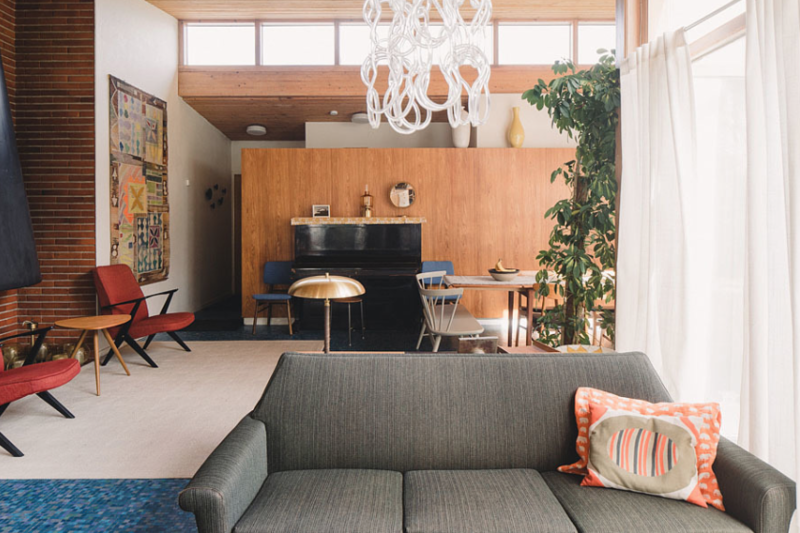 The fireplace is a classic midcentury piece, kept in great condition over the years. And it’s perfect for keeping the family warm all year long. 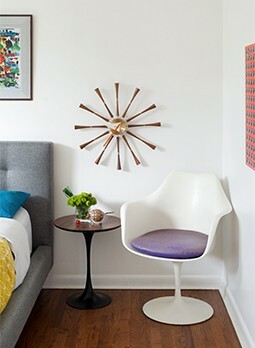 Partition walls and retro furniture give the room a home-y, mid mod vibe. From top to bottom, the house’s mosaic tile floors, partition walls and wood ceilings bring life to the home. 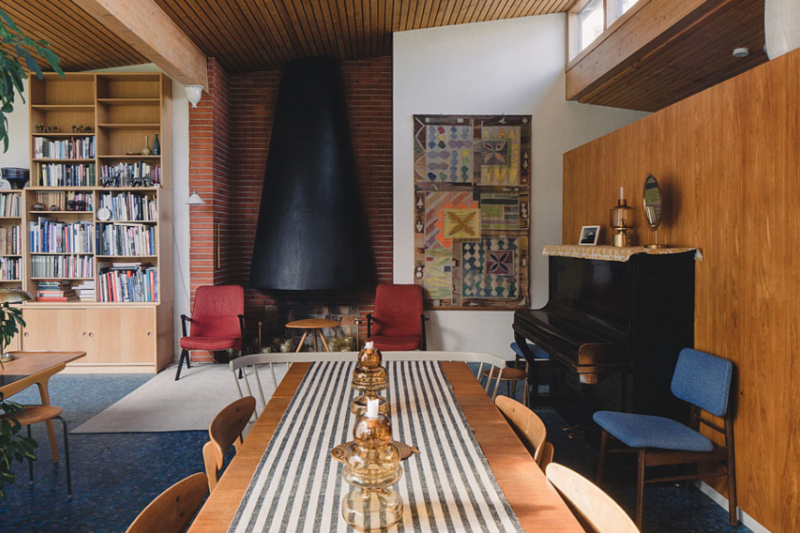 The house also features a midcentury fireplace, which has been well kept over the years. 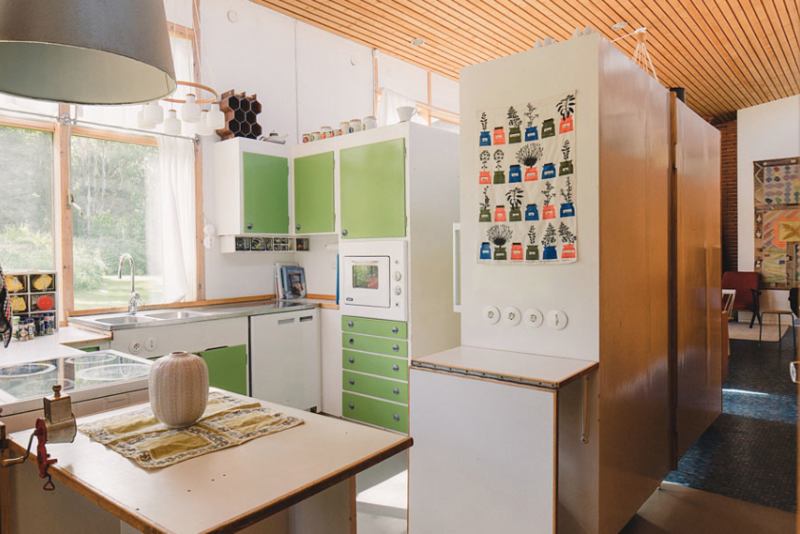 The designer brings modern functionality to the kitchen with retro green cabinets and drawers among the white countertops and walls. A small secluded patio creates the perfect space to enjoy the great outdoors. The house faces the backyard, providing privacy despite the home’s glass walls. The one-story house overlooks the grassy backyard, maintaining the house’s privacy and featuring a small covered seating area. 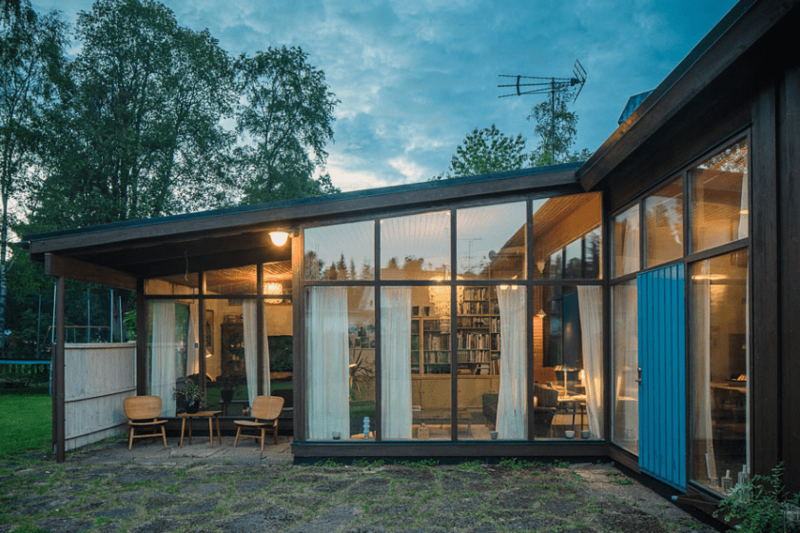 Among the glass walls and dark wood panels, bright blue-paneled doors bring color to its exterior.